→Want To Know When To Harvest Zucchini? Find Out Here! Zucchinis remind me of summertime. As a child, I remember picking zucchinis with my mother in our large garden, along with harvesting huge pots of green beans. Now, as an adult, I take my kids outside to harvest zucchinis. Zucchini plants tend to grow rapidly, which always made me wonder when to harvest zucchini. 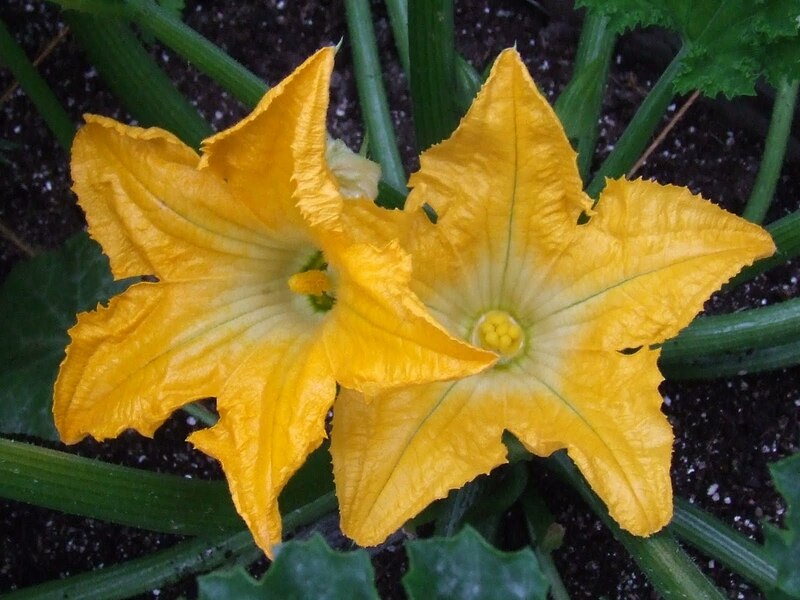 Your zucchini plant has male and female flowers that will appear on your plant. The female flowers will become zucchinis after pollination. Your first step when determining the time to harvest zucchini is to wait for these flowers. Male zucchini flowers have a thin, long stem with a single stamen inside of the blossom. Female flowers have a bulbous at the end of the flower, which is called the ovary. It is where the zucchini will form. Inside of the flower, you will find multiple stigmas. Each zucchini variety matures at a different rate. It is important that you keep track of what the seed package says, giving you an idea when the plant will start to create harvestable fruit. Here are some of the most common choices and their maturity time. Eight Ball – 40 days. Great choice for shorter growing seasons! It is typically recommended that you harvest zucchini when they are six to 12 inches long. Depending on your variety, some can reach even longer lengths. The color should be dark green, but that also depends on the variety of zucchini. A few years ago, I grew a lovely white zucchini variety. There are yellow ones available. The more often you harvest zucchini, the more the plant will produce. While you might want to keep them longer, it makes the seeds larger and harder to eat. If I happen to miss a zucchini on the plant, I grate it and turn it into loaves of zucchini bread. The larger seeds are hidden well in bread. Harvesting zucchini is very easy! Once you find the perfect zucchini, it is time to pick it! Grab the zucchini by the end, where the blossom was original. Typically, the end of the zucchini is the fattest part of the fruit, so it is easiest to grab. 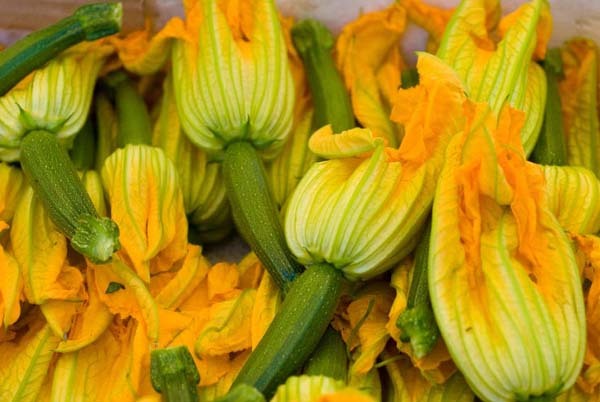 Many people love to harvest the zucchini flowers as well. They are delicious when battered and fried! If you’ve yet to try it, you are missing out. When the plant is producing heavily, you might find yourself with more zucchini than you can use. After you give some to all of your family and friends, you need to know how to store fresh zucchini! Store the zucchini unwashed in an open, plastic bag for a week. Freeze it for long term storage. Freezing is best done sliced or grated. You need to peel, grate and allow it to drain in a colander. Then, squeeze out all of the excesses. Finally, store the grated zucchini in sealed freezer bags and lay them flat for easy storage. The FDA does not recommend canning zucchini due to the higher risk of bacterial contamination. When to harvest zucchini depends on the size of the fruit and how you intend to use it. If your dinner plans include stuffed zucchini, let the fruit grow larger. If you intend to use the zucchini in a stir-fry, you would be better served by harvesting a smaller zucchini. Just make sure to check to ensure the color is appropriate and firm to the touch. A mushy zucchini is not appealing!